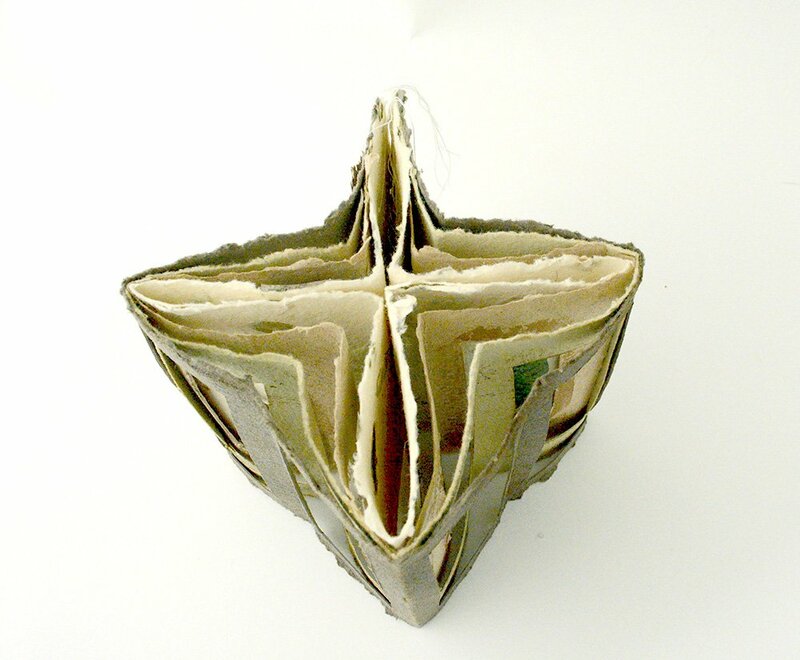 A Star Book is basically 4 accordion books that are nestled together, but each book is slightly smaller than the previous one, so that when closed, it creates a star pattern. 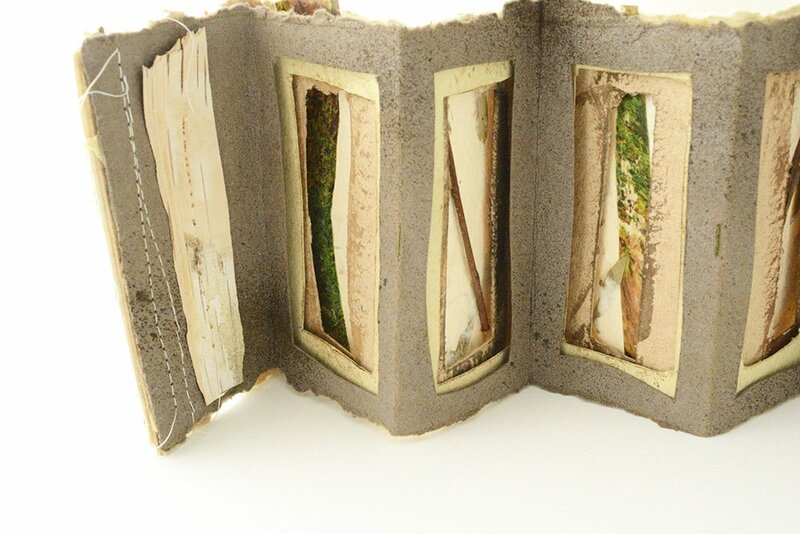 And if you cut windows into the accordion pages, interesting layers draw your eye into the book. 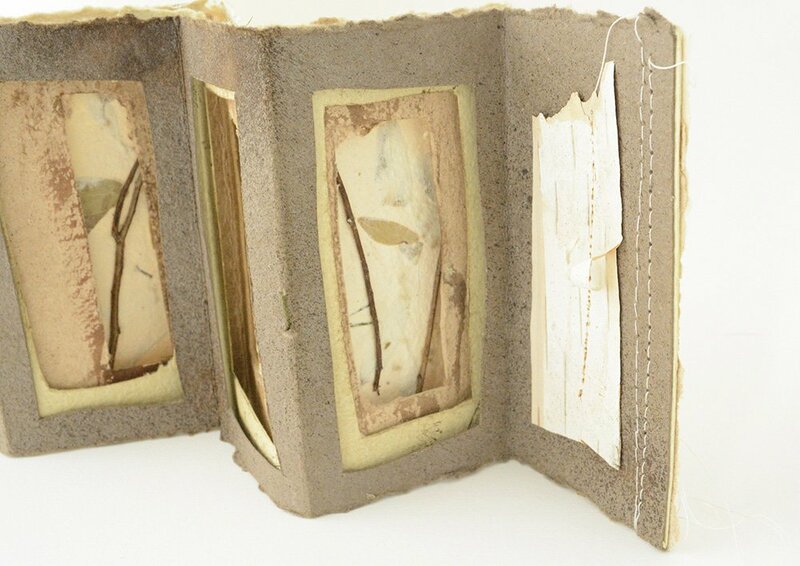 To complement the rustic handmade papers, I included pieces of birch bark and twigs. 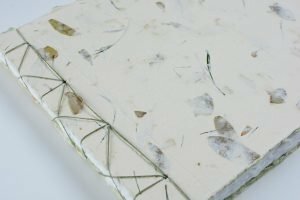 The main images on the back ‘page’ of the book are image transfers of photographs I took in our local forest. Hand and machines stitching help to support the structure of the book. 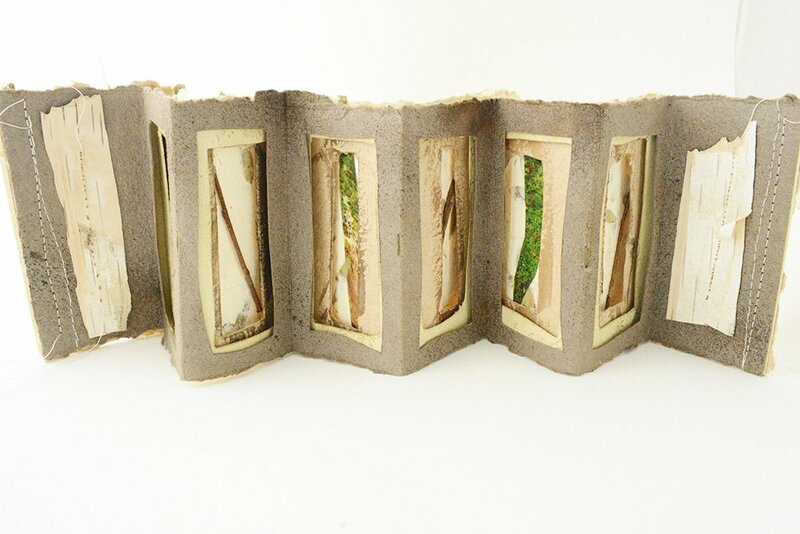 I’m including this book in my 50 Book Project, which I’m making slow but steady progress with!